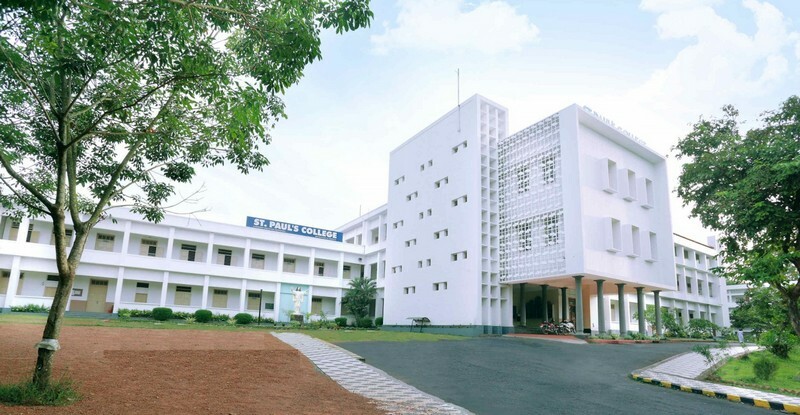 St. Paul’s College functions under the management of the Archdiocese of Verapoly and is affiliated to Mahatma Gandhi University and the U.G.C. The College was founded by Dr. Joseph Attipetty, the late Archbishop of Verapoly to commemorate the historic visit of His Holiness Pope Paul VI to India in connection with the 38th International Eucharistic Congress held in November – December 1964. The foundation stone of the college was blessed by His Holiness on December 3, 1964 and was solemnly laid by Dr. Samuel Mathai, the Vice-Chancellor of the University of Kerala in the presence of His Grace Most Rev. Dr. Joseph Attipetty on 13th February 1965. Out of his filial devotion to His Holiness the Pope, the founder desired that the College be named after St. PAUL the celestial patron of the Pope. The College started functioning from 13th July 1965 imparting instruction to students for the two year Pre-Degree Course. The first degree course, B.Com. was introduced in the year 1978 and gradually other degree courses such as B.Sc. Physics, B.Sc. Mathematics and B.A. Economics were introduced. St.Paul’s College became a first grade college with the introduction of M.A. Economics in the year 1982. At present the college offers postgraduate courses in Economics, Physics, Mathematics, Chemistry, Commerce and English. The Department of Physics and Commerce are research centres of Mahatma Gandhi University. Co-education was introduced in our college in the year 1983. Vocational degree courses in English and Chemistry have been introduced in 1998 and 1999 respectively. In October 1983 Mahatma Gandhi University came into existence and St. Paul’s College was affiliated to it.